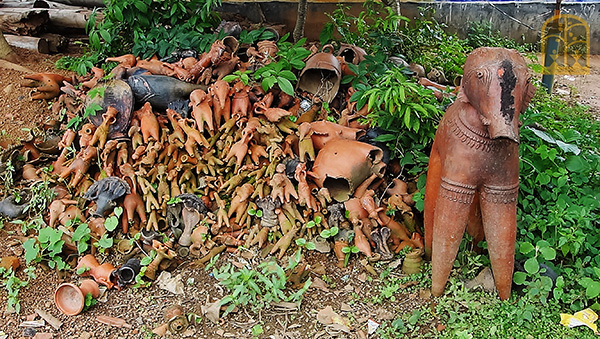 For centuries, terracotta figures have been used for votive purposes, to propitiate local deities. This is particularly common in Bankura district which is dotted with such shrines. This is a Manosha thaan , a local shrine for serpent goddess Manosha, where varying sizes of votive figures offered to Manosha have piled up over the years. Manosha is a goddess of fertility and also offers protection from snake bites.